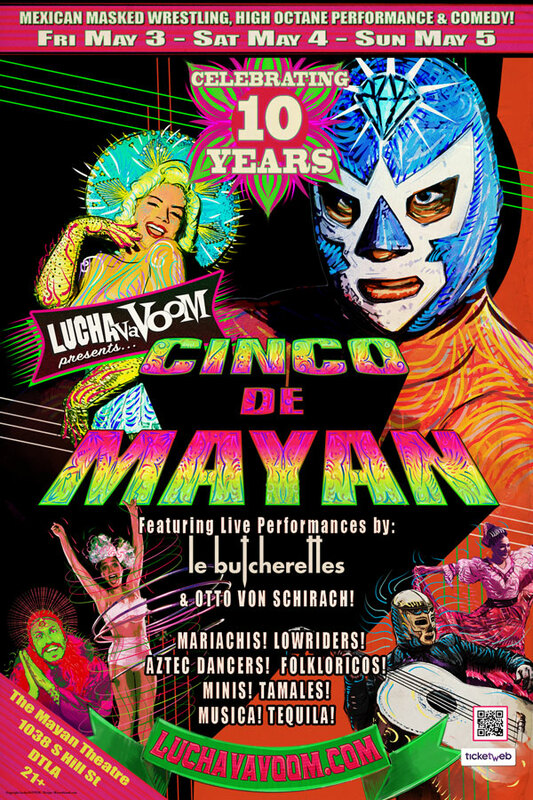 Lucha VaVOOM presents: CINCO DE MAYAN! Tickets are now on sale for our annual Cinco de Mayo Carnivale! And this time we are taking over the whole WEEKEND! Cinco will be open floor, no seats round the ring, regular seating in the balcony, one ticket price, go everywhere! This year is going to BLOW IT OUT!!! ALL ACTION – ALL FUN – NON-STOP PARTY LUCHA LIBRE! FOLKLORICOS! AERIALISTS! SUPERSTAR DANCERS!! AZTEC DANCERS! LOWRIDERS! MARIACHIS! CUMBIA! May 3rd, 4th & 5th! Open plan party – One Ticket Price – stand wherever you want! 12 Time Guinness World Record Holder MARAWA THE AMAZING! Mexican Garage Sensation LE BUTCHERETTES! & Miami wildman OTTO VON SCHIRACH! Our favorite candy filled super hero PIÑATITA! 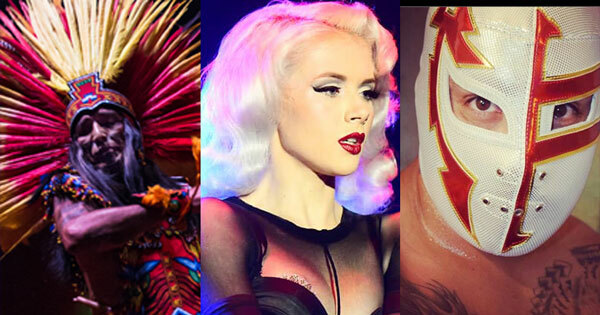 Special musical/comedy/luchador guests TBA – Stay Tuned! Friday & Saturday Doors 7pm – Show 8pm sharp!